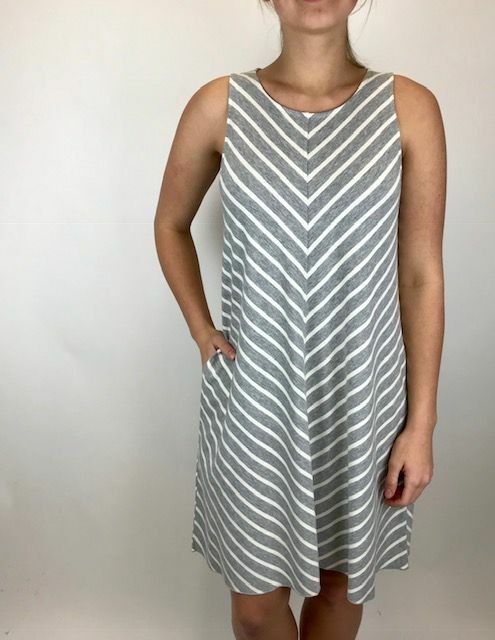 A super soft wide strap dress with a grey and white stripe going across in a v pattern. This piece has a swing to it and is great layered with a jacket too when its cool. 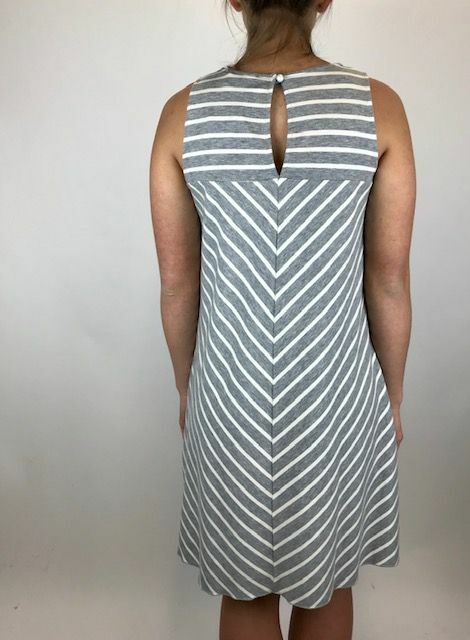 Did we mention it has pockets? ?